Stress can have a massive impact on your personal life and health. An estimated 77 percent of people in the U.S. experience physical symptoms from stress, while another 73 percent experience psychological symptoms. More and more people are starting to turn to nootropics for stress support. There are a variety of natural supplements designed to support various cognitive processes. One of the most common natural adaptogens is called ashwagandha. 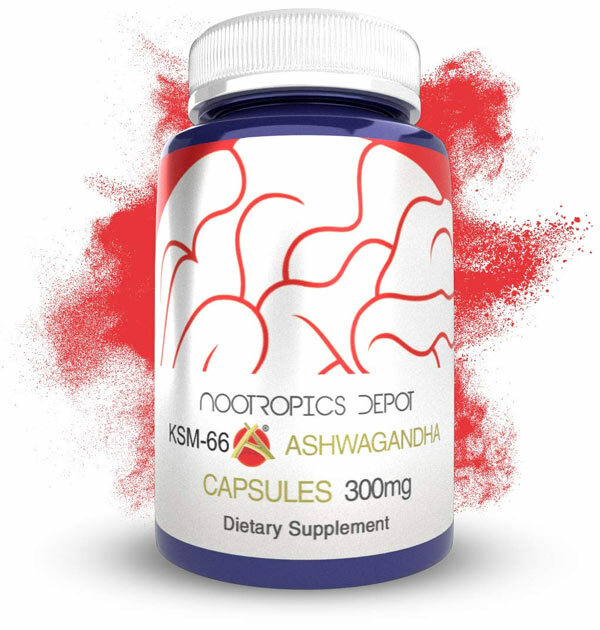 Two very popular versions of Ashwagandha are called Sensoril and KSM-66; both of which are patented, clinically-tested ashwagandha extracts with data to back up their efficacy claims. Let’s take a closer look at these two ashwagandha extracts and determine what works better for you. Ashwagandha, also known as Indian ginseng and winter cherry, is a staple herb used in Ayurveda, and is the plant that is used to produce both Sensoril and KSM-66. The name “ashwagandha” means “smell of horse” and refers to the herb’s distinct smell and the belief that taking the herb gives you the virility and strength of a horse. The plant name is Withania somnifera, which means “sleep-inducing” in Latin. As an adaptogen, ashwagandha has primarily been used as a supplement to support healthy stress levels, though it may also show promise in supporting healthy sleep cycles. Some studies also show that ashwagandha may be used to promote physical performance, as well as support memory and cognitive function. Ashwagandha contains steroidal lactones and alkaloids, including cuscohygrine, tropine, and withanolides. Most extracts of ashwagandha are standardized to withanolides. It is also the only plant to contain the compounds ashwagandhine, ashwaganidhine, and somniferine. As extracts of the same plant, how different could Sensoril and KSM-66 be? It’s true that they generally offer the same potential benefits in supporting healthy stress levels. Both have supportive clinical tests and trials with thorough research on the potential benefits of ashwagandha. Both use patented, water-based extraction processes that eliminate the bitter taste of the herb. So what is so different about them, and how do they compare to regular ashwagandha extracts? Most extracts of ashwagandha are standardized to 2.5% withanolides. This means that 2.5% of the extract by weight is withanolides, which are a group of at least 7 related compounds in ashwagandha. Sensoril, on the other hand, is standardized to 10% withanolides. The goal of Sensoril Ashwagandha was to get the most potent extract, with the highest levels of withanolides on the market. This means that most people report Sensoril as being very strong and calming. Often those with heavy stress, or those wanting restful sleep, will prefer Sensoril the most. KSM-66 opted for a different approach. Their Ashwagandha extract is standardized to 5% withanolides, and sought to bring out an extract with the natural ratios of ashwagandha root. They spent 14 years on R&D to bring out an Ashwagandha extract that gives high withanolides, but keeps the ratios in line with what is found in nature. The thought behind this was that it was not just about getting the most withanolides, but getting them in the proper ratios. This means that KSM-66 is not as powerful, but is actually described by many as stimulating and energizing, while still supporting healthy stress levels. Many times people with mild stress will prefer KSM-66 Ashwagandha. Another part of the difference comes down to the traditions of Ayurvedic medicine. Sensoril Ashwagandha uses extracts from both the leaf and roots of the ashwagandha herb, while KSM-66 takes the more traditional route and comprises only the root extract. As a result, KSM-66 offers the highest concentration full spectrum extract of ashwagandha on the market. “Full spectrum” refers to an extract that maintains the balance of the various components in the ashwagandha plant, ensuring that each is equally represented in the final product. As a root extract, KSM-66 Ashwagandha is virtually non-toxic. Since Sensoril is more concentrated, with over 10% withanolides, encapsulated dosages of it are lower than that of KSM-66. Which is the Best Ashwagandha for You? Deciding between KSM-66 and Sensoril depends on what you’re looking for. Sensoril Ashwagandha offers potential everyday stress and sleep support while KSM-66 Ashwagandha is seeing more use in sports nutrition as a means of possibly improving fitness. As a full spectrum extract, KSM-66 also offers a higher potency of the compounds in the ashwagandha roots.